Mature landscaping, and a freshly painted exterior welcomes you home! 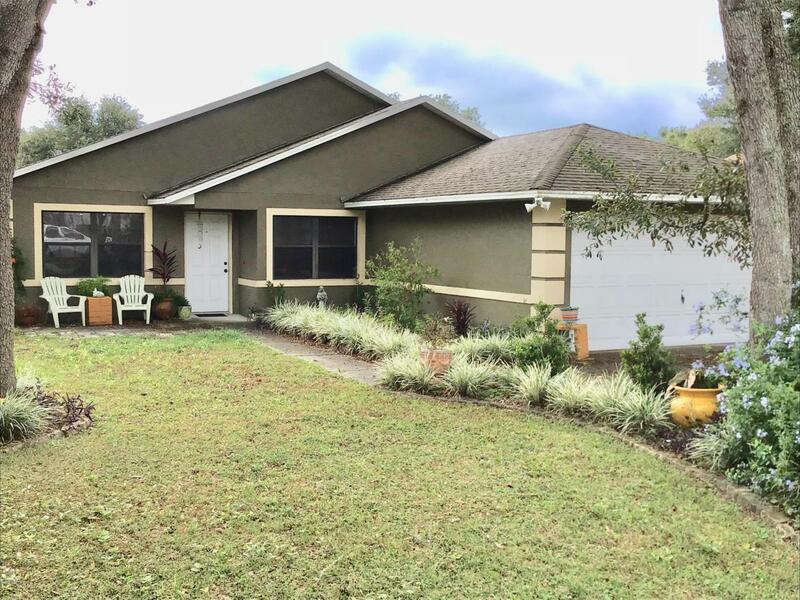 Close to The Villages, on a paved street in Lady Lake, with no HOA! This house features high ceilings, custom plant ledges, and custom faux wood blinds. New windows installed in August 2018, water heater just 5 years old, and the A/C unit was replaced in 2015. Tile throughout, with laminate in the master bedroom and guest room. Covered patio off the living area, through the sliding glass doors, complete with ceiling fan! This house comes with a home warranty. Listing provided courtesy of Tina Williams of Foxfire Realty Lady Lake.